Zavod Multi Concept bar is located in the heart of the Design District in Savamala. The interior design of the bar is minimalistic but smart with a variety of exquisite cocktails. The weeks have plenty of interesting and creative programs such as cinema, art and design exhibitions, workshops, fashion reviews, art and creative tours,book launches, playgroups and frequently as an informal meeting space. 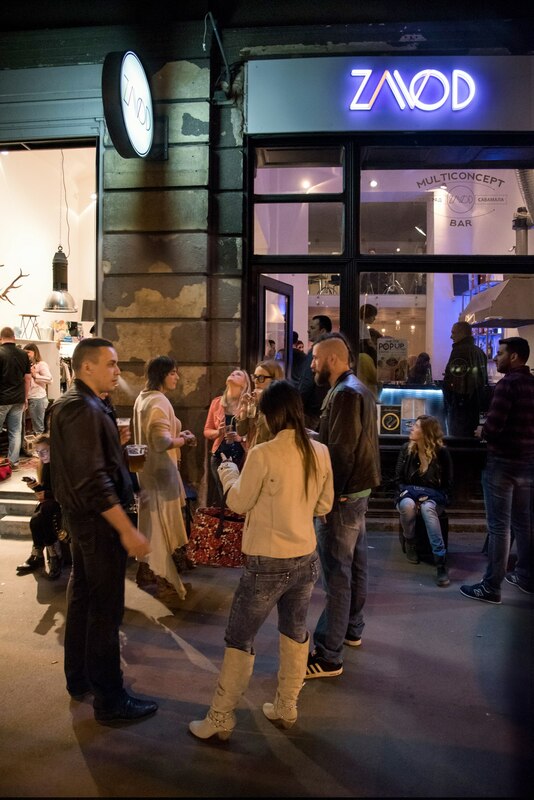 On the ground floor ZAVOD Multi Concept bar from the 7th May to 7th September guests Jane Doe POP UP Concept Store with more than 25 Balkan designers. Its an ideal place for DJ and live music on the weekends. The bar hosts parties and also private parties. Zavod friendly staff will be delighted to assist you in your request. This summer will open garden where you can enjoy the great view of Geo Zavod.